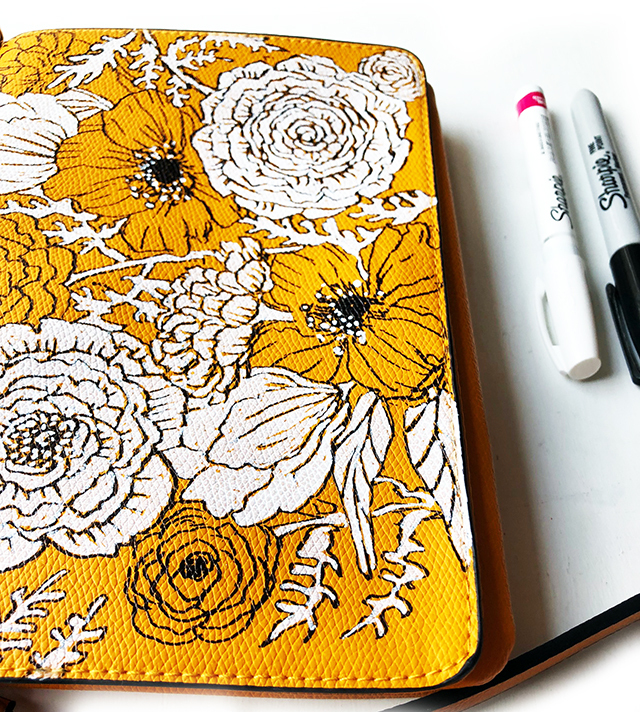 By now you've got to know that I love to draw or paint on just about anything and my favorite surfaces are often accessories! Specifically purses. I love to purchase cheap purses completely transform them with my favorite techniques and supplies. 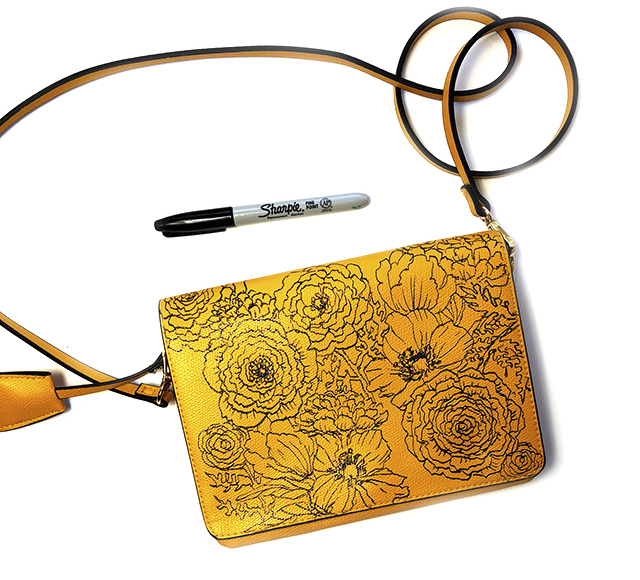 This this particular purse I wanted to challenge myself to only use a Sharpie marker and a Sharpie oil based paint pen. 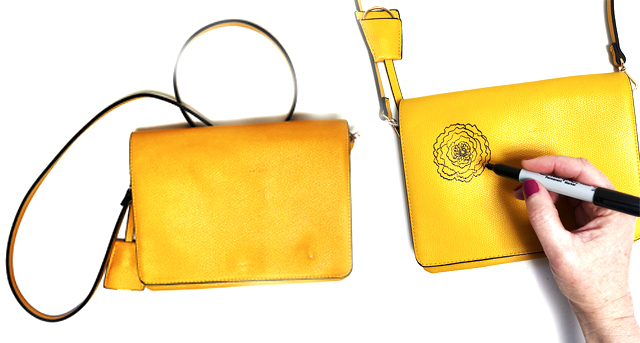 The purse that I used cost $6.99 and it is made from synthetic leather (not leather). 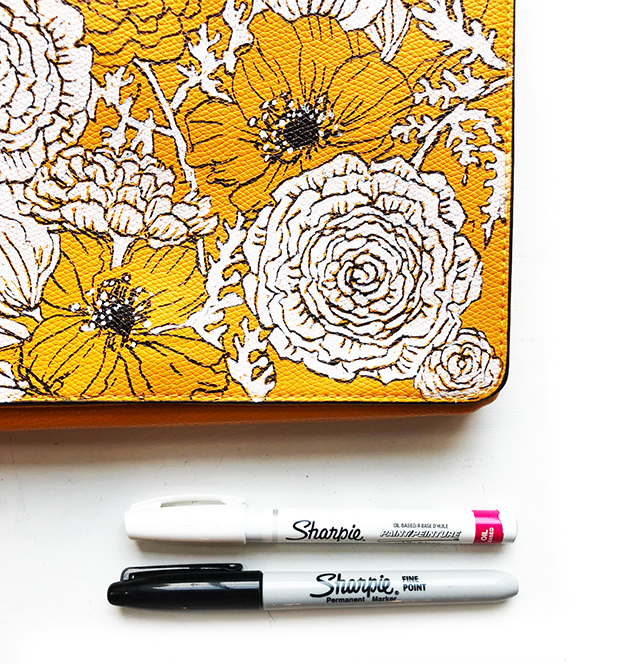 In my experience pretty much any "pleather" accessories can be transformed with your favorite art supplies. I've transformed countless pleather purses and so far I haven't experienced any issues with cracking or peeling because I seal them with gel medium or a light layer of polyurethane. 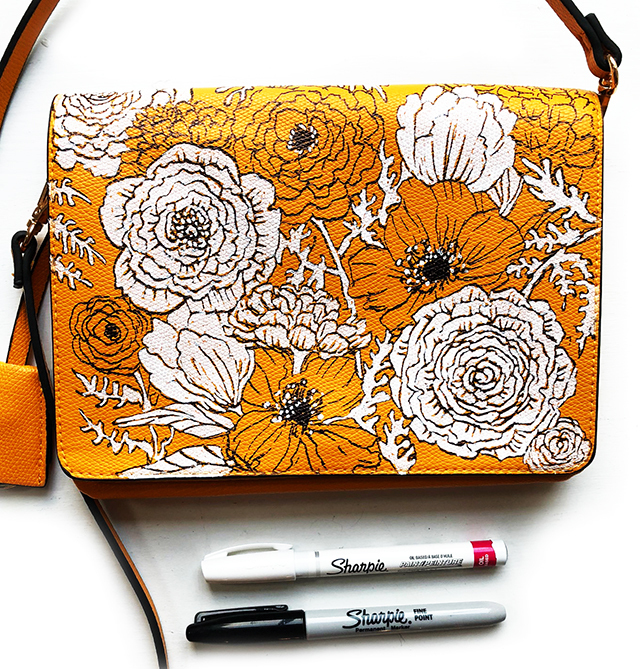 My process was pretty straight forward- I used the purse as my drawing surface and drew all over it with a black Sharpie pen. 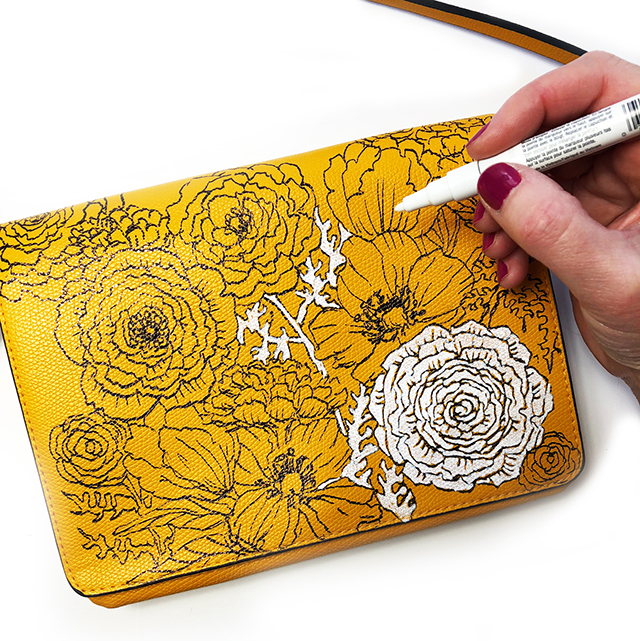 Then I selectively filled flowers with a white paint pen. My goal was to create a push and pull between the white, yellow and black lines. 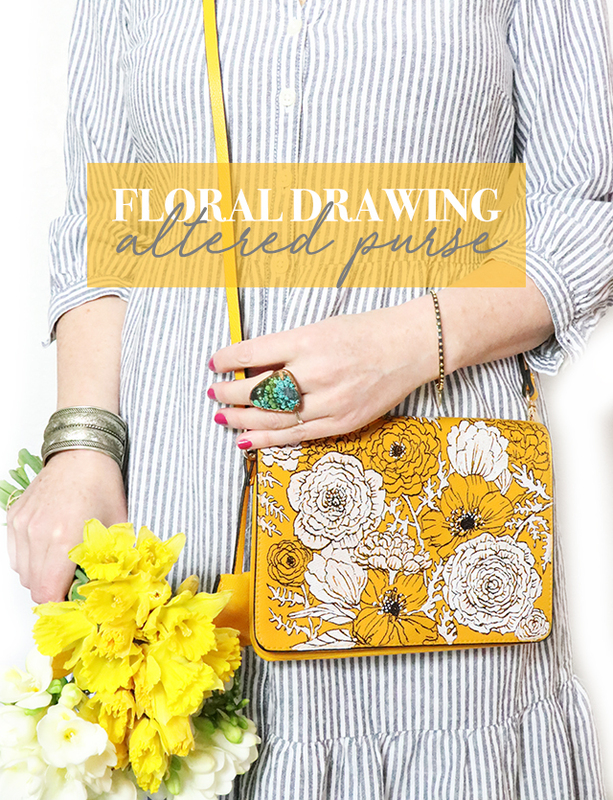 The result is a pretty little floral bag that only cost $6.99 and a little bit of time and creativity! As always, I am amazed how you infuse art into the everyday objects around us. I have been following your blog for years and wanted to let you know how grateful I am to you for sharing your time, talent, vision, process and family with those of us that admire you so much. LOVE IT! 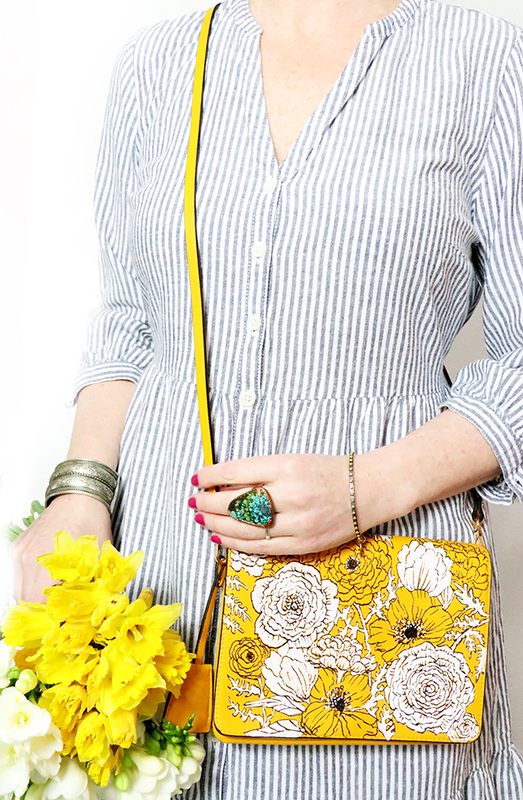 Also a great way to upcycle thrift store bags. Brilliant.